Steam Donkey: A card game about building a Victorian seaside resort – steam punk style. How can I possibly resist? Bakerspeed and Paititi: This year’s offerings from the Austrian Board Game Museum; cheap prices and a good cause equals no-brainer. Romans go Home, Sail to India and Pocket Imperium: All relatively cheap games I’ve played before and really enjoyed. Expansions for CV, Can’t Stop, Snowdonia and Stone Age: All current favourites of mine where a bit of extra variety can’t hurt. Any mention of: dexterity, party, children, trivia, real-time, humour: I know I know, I’m absolutely NO fun. Games that don’t play two-player, or that go more than two hours: I like a lot of these games, and seek to play them, but the ones I own sit largely unplayed on my shelves. Abstract, anime, horror/zombie, war games: These are usually a big turn off for me, with the occasional exception – so if a classic rises to the top I’ll look into it, but won’t seek them out as new releases. Games with an Essen listed price of 50+ euros: Yup, I’m tight as well as absolutely no fun. Why are you still reading this? That left me with 100 or so games, but many more fell by the wayside after watching videos or reading rules, as they brought nothing new to the party. It’s a sad truth that, right now, it’s so easy to publish board games everyone seems to be doing it (even me). It doesn’t push the bar up – it just puts loads more games into the middle ground. 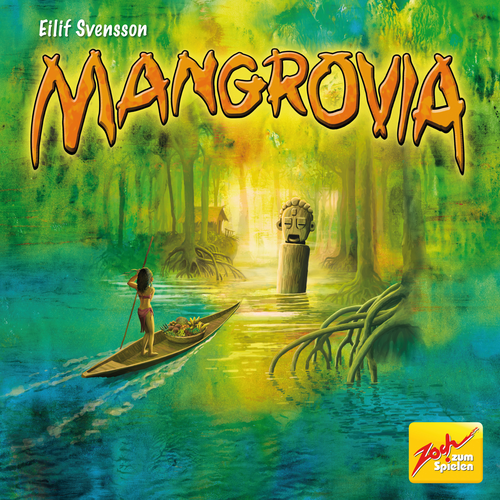 Mangrovia (€30): This family game looks lovely and has an interesting action choice mechanism, plus a good price. I have high hope for it from the rules, but do want to see it in action. Red 7 (€10): This looks like a great light filler and at this price it’s an almost definite purchase. It has a really clever mechanism, where you have to take the lead to stay in the round on every turn. Progress: Evolution of Technology (€35): A hand management card game which is all about building tech trees – something I’ve always loved in both board and computer games. Some doubts raised about replayability. 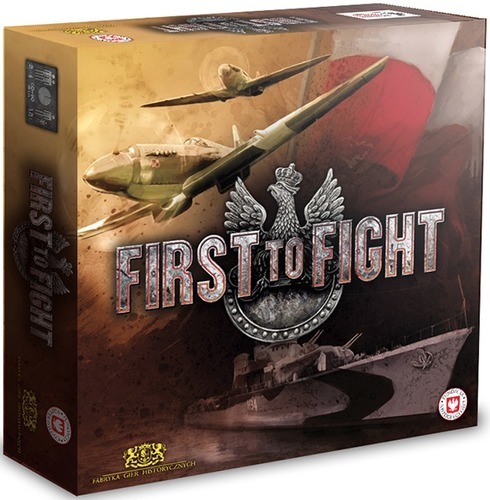 First to Fight (€37): The Puerto Rico action selection mechanism is one I like; and this adds an interesting scoring mechanism where you’re all using the same cards to try and fulfil missions. But will it work? Could go either way. Imperial Settlers (€40): Great art, tableau building and a little bit of messing with other players puts this high on my want to try list – but it’s essentially a card game in a big box with a big price tag. El Gaucho (€27): Worker placement and set collection, dice and tiles, nice components and art style, reasonable price – many boxes ticked. But there are a lot of euros out there – will this stand out enough? Madame Ching (€30): This looks an interesting mix of styles, but essentially it’s a 30 euro card game which seems a bit steep for the level of gameplay involved. But if it’s fun enough, it may be worth it. 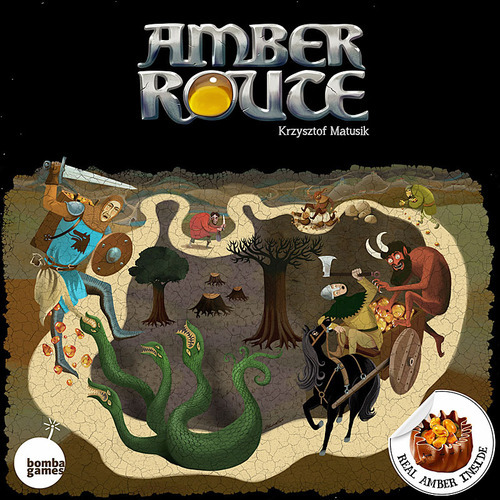 Amber Route (€tbc): While I’ve enjoyed the app on iOS it is much too luck dependent; but the board game version looks to have made significant changes. Johari (€25): A low price, set collection and simultaneous action selection pushed this way up my wishlist; but I’m not sure it’s going to be that interesting to actually play – hence needing a demo. Versailles (€30): Yet another interesting looking family level worker placement game, but with the usual caveats – will it be interesting enough to stand out from the crowd? I have my doubts. More details of all of these can be found on my Essen Geek List over at Board Game Geek. While I’d be totally remiss if I didn’t mention the fantastic Essen Geek Mini tool that helped me plough through all of this year’s releases. It’s going to be a long week! This entry was posted in Board games, Games, Travel and tagged board games, card game, card games, Essen, Essen 2014, Essen Spiel, Top 10 games by Chris Marling. Bookmark the permalink. Great stuff here, Chris. I haven’t yet played Sail to India, but it’s high on my list of Want to Play. What are your thoughts on it? I’m also eager to try Imperial Settlers and Castles of Mad King Ludwig. I’m a little surprised to see it on your list based on your thoughts concerning Suburbia. Sail to India has a hell of a lot of game for such a small package. I’m not sure of long term replayability (I’ve played twice), but at this price it’s worth it. As for Ludwig, I like the cost picking idea, prefer the theme/art (Suburbia was so dull) and the scoring seems way less irritating. If I hadn’t played Suburbia, this would’ve easily made my top 10!